Professors gather to listen to a speaker during the Faculty Forum Conference. 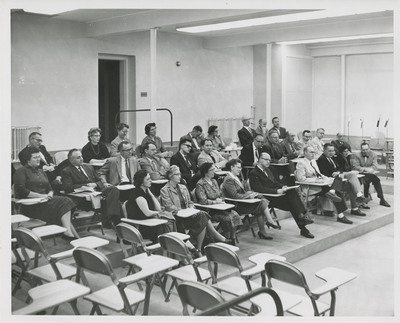 Unknown, "Faculty Forum Conference" (1959). Linfield College Archives Photograph Collection. Image. Submission 242.